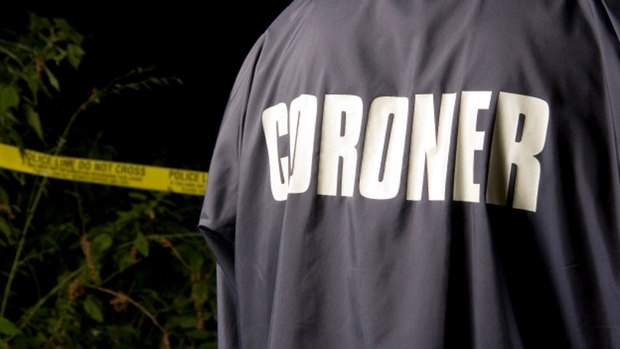 Victoria/Fraser Valley – The BC Coroners Service has released two updated reports on illicit drug overdose deaths and fentanyl-detected deaths to the end of January 2019. The full detailed monthly report is here. 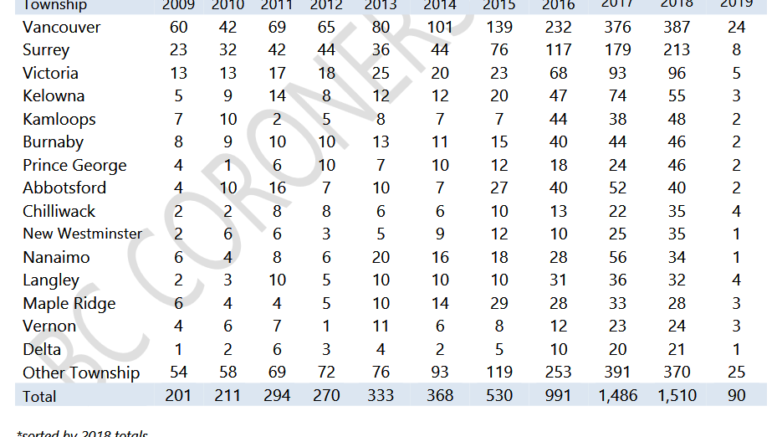 In January, Chilliwack had 4 illicit overdose deaths , Abbotsford with 2. The number of illicit drug overdose deaths in 2019 equates to about 2.9 deaths per day for the year. It was as high as 4 deaths per day in BC at the end of 2018. Fentanyl or its analogues continue to lead the way as the number one killer drug. Carfentanil has been detected in 35 suspected illicit drug overdose deaths in 2018 and 71 deaths in Jun-Dec 2017. In January 2019, carfentanil has been detected in 13 overdose deaths. Note this is subject to change as further toxicology results are received. 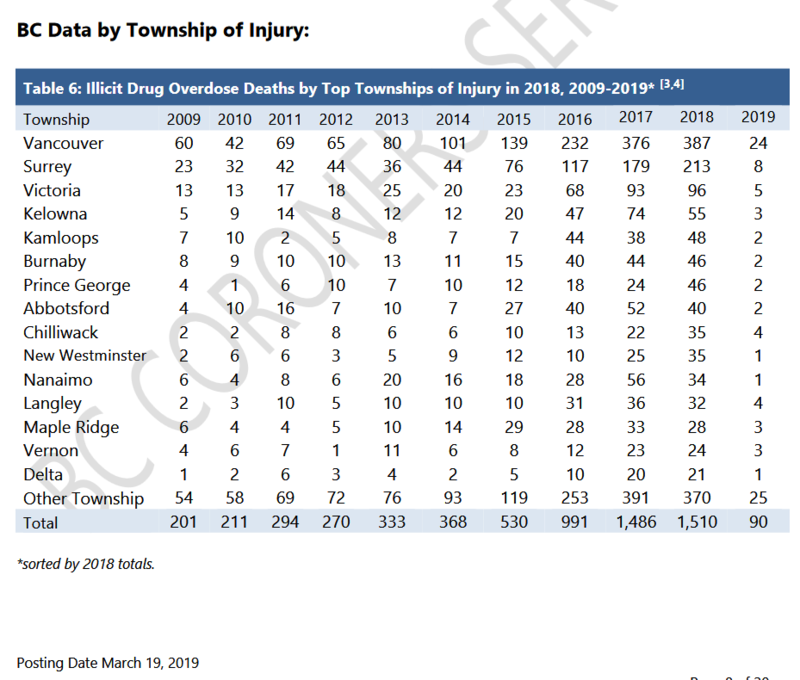 There were 90 suspected drug overdose deaths in January 2019. This is a 31% decrease over the number of deaths occurring in January 2018 (130) and a 22% decrease over the number of deaths occurring in December 2018 (116). The number of illicit drug overdose deaths in January 2019 equates to about 2.9 deaths per day. There were 1,310 illicit drug overdose deaths with fentanyl detected in 2018. This is a 7% increase over the number of deaths occurring in 2017 (1,223). In January 2019, carfentanil was detected in 13 overdose deaths. By comparison, carfentanil was detected in 35 suspected illicit drug overdose deaths in 2018 and in 71 deaths between June 2017 (when Coroners Service testing for carfentanil began) and December 2017. Fentanyl or its analogues were detected in approximately 87% of illicit drug overdose deaths in 2018 and 82% of illicit drug overdose deaths in 2017. Be the first to comment on "31% Drop In Year-to-Year Overdose Death Numbers In BC"